Have you noticed a difference in your night vision? Aging, diseases, or eye conditions may be to blame. Cataracts. A cataract occurs when the clear lens in the center of your eye becomes cloudy. If your cataracts are small, your daytime vision probably won't change. However, once the sun goes down, you may be more sensitive to glare and see annoying halos around lights. These issues can make nighttime driving particularly challenging. Weak Iris Muscles. Tiny muscles in your irises control the size of your pupils. The muscles increase the size of your pupils when it's dark, allowing more light to reach the retina, the layer of light-sensitive cells at the back of your eye. When it's bright, the muscles contract and decrease your pupil size. As you age, the muscles weaken and don't work quite as efficiently, which can make it harder to see in dim light. Fewer Rods. Rods are photoreceptor cells in your retina that are sensitive to light changes. They're essential for good night vision but tend to decrease with age. A Change in Your Prescription. It can be harder to see at night if you're nearsighted and you need new glasses or contact lenses. Glaucoma. Glaucoma occurs when the pressure in your eyes increases to dangerous levels. If the condition isn't diagnosed and treated promptly, it can damage your optic nerve and cause blindness. Glare and halos can be an issue if you have treated or undiagnosed glaucoma. Some glaucoma medications can also worsen the problem. Astigmatism. You may be more likely to be bothered by glare if you have astigmatism. The refractive error is caused by an irregularly shaped cornea and can distort your vision, particularly at night. A Vitamin A Deficiency. Night vision problems can also occur if you're deficient in vitamin A. Although vitamin supplements can be helpful if you have a deficiency, they probably won't do much to improve your night vision if your vitamin A level falls within the normal range. Eye Diseases and Conditions. Retinitis pigmentosa, Usher syndrome, age-related macular degeneration, Fuch's dystrophy, diabetic retinopathy and nystagmus can all cause night vision issues. Medications. Did your night vision problems start after you began taking a particular medication? A long list of medications can affect vision. Lasik Surgery Side Effects. Halos around lights and increased glare can occur after you've had Lasik surgery to improve your vision. The side effects often only last a few weeks or months after surgery but can become permanent for some people. What Can I Do to Improve My Night Vision? If your declining night vision is due to aging, a few lifestyle changes can help, such as using more lights or brighter lights at night or limiting driving to daylight hours. Once your optometrist determines the source of your problem, he or she can offer treatments or strategies, such as a change in your eyeglass or contact lens prescription or glasses that reduce glare. Changing medications can be helpful if your night vision issues are linked to prescription drug side effects. If your problem is caused by glaucoma or another eye disease, treating the underlying disease may improve your symptoms, although you may still have some night vision problems. Cataract surgery may be recommended once your cataracts become so large that they significantly interfere with your vision. Nighttime vision problems can be a sign of a serious eye condition or disease and should never be ignored. If you've been having trouble seeing well at night, contact us to schedule an eye exam. 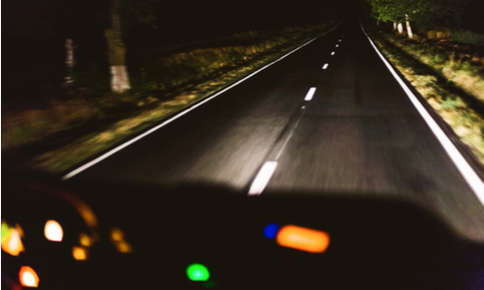 AllAboutVision: Why Is Aging And Night Driving A Problem?